Simply Salvaged: Get the Funk Out of Your Furniture! Get the Funk Out of Your Furniture! My favorite picker grabbed this piece for me at his auction. He said he knew I would love it and he was right! I loved it as soon as I saw it! The top needed to be reinforced- nothing I can't handle. It never crossed my mind that I should include sniffing to my inspection but it has officially been added. Honestly, I probably would of bought it anyways because the amazing price on it was worth the attempt to defunk her. This lady stank up an entire room. 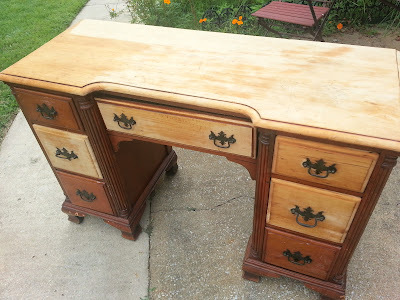 The smell of old was emanating from this piece. It's not from mildew, it's not from an animal, and it's not from cigarette smoke... there's no way to describe the smell other than ''old''. 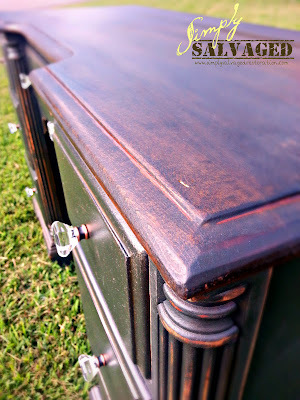 Day #1- I put the piece in the sun and cleaned as if it were any other piece of furniture. Between some help from mother nature, a shop vac, some Pine Sol (I was out of Clorox wipes), & hot water, I thought it would do the trick. I was wrong. I had a smelly piece of furniture with a hint of lemon- it gave me a head ache. Literally. 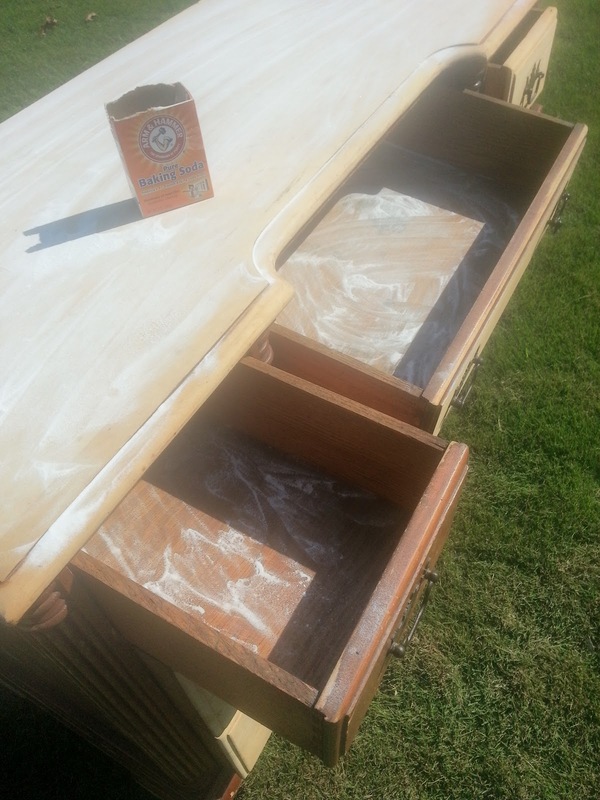 Day #2- I smothered it with baking soda- on the top, and in all of the drawers (closed but cracked just a little). I left it sitting out in the middle of the yard where it would get the most direct sun light all day, then, all night. I used it generously all over the desk- when I say ''generously'', I mean that I smothered it inside and out (about 1/2 of the bottle), let it soak in a while, then wiped scrubbed it down with a wet kitchen sponge inside and out. After it dried, I gave it another coat of Odo Ban- this time just letting it dry over night. Day #4- I still had a little funk coming off of it but I decided to go ahead and prep for paint. I figured prime, paint, and poly would seal any odor left in her. I was conflicted when it came to which primer to use- I wanted to use Kilz to seal the wood really well, but I also wanted to paint with black and didn't want the primer peaking through the distressing. So, I primed the drawers with Kilz inside and out, then used RustOleum's Ultra Cover spray primer in brown over the body & inside of the drawer cubbies. I stained the top so it didn't get any primer but will be sealed with poly. 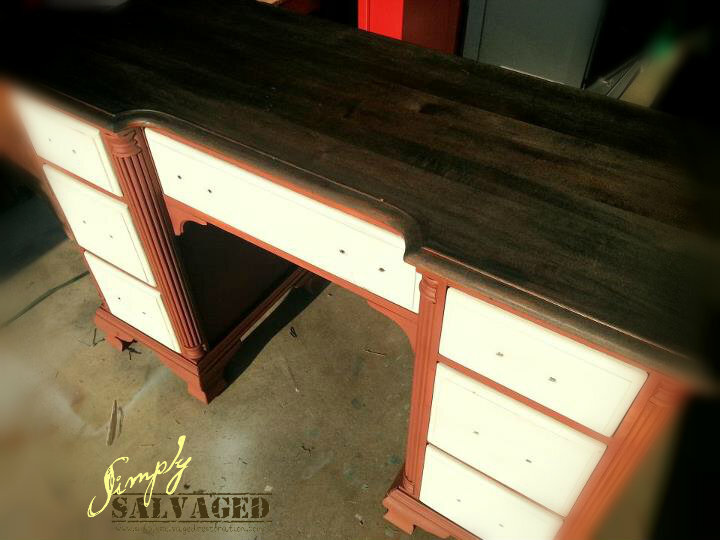 I hope I've saved you some trouble if you ever come across an awesome piece of furniture with a funk! Odo Ban works every time! Love the Lavender Scent! The desk turned out beautiful! You did a great job with the desk. 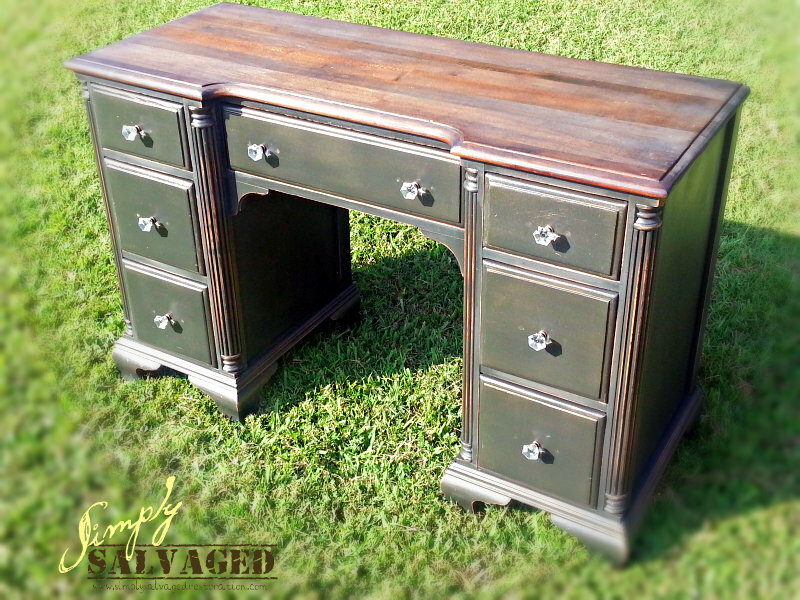 Judging by the result of it; you certainly know how to bring this desk brought back its newer looks! 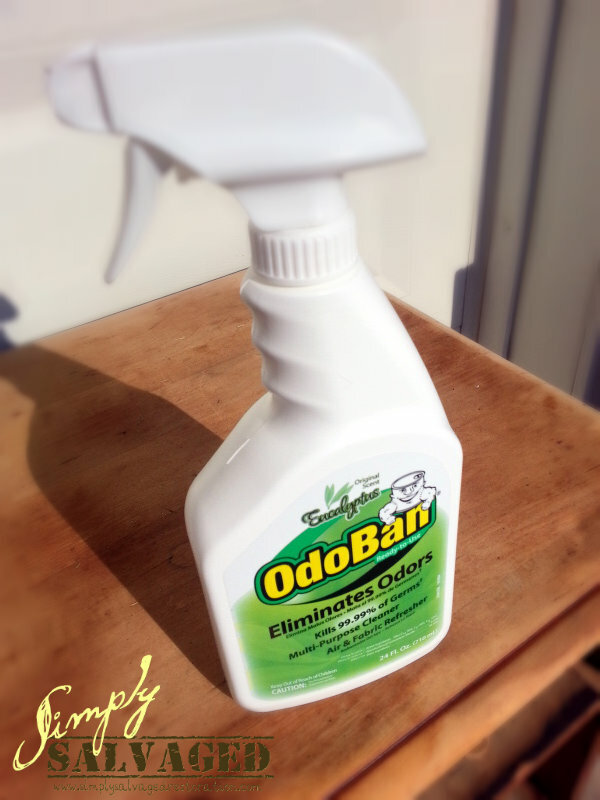 I use odo ban all the time but never thought to use it on furniture. Great hint I have 2 old pieces that I am going to redo this year and they might stink.